We may collect personally identification information from Users in a variety of ways, including, but not limited to, when Users visit our site, fill out a form, and in connection with other activities, services, features or resources we make available on our Site. Users may be asked for, as appropriate, name, email address. Users may, however, visit our Site anonymously. We will collect personal identification information from Users only if they voluntarily submit such information to us. 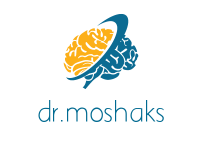 Users can always refuse to supply personally identification information, except that it may prevent them from engaging in certain Site(dr. moshaks) related activities. Dear visitor, We use a company statement as a third party to display ads, when you visit our website, it is entitled to this company to use information about your visits to this web site (not including your name, address or e-mail address or telephone number) in order to provide advertisements about goods and services Similar through the DART cookie. You can prevent the use of DART cookie by clicking here. Like many other Web sites, and the doctor here, the use of log files. This includes internet protocol (addresses, type of browser, Internet Service Provider (ISP), date / time, and number of clicks to analyze trends, administer the site). And here we do not intend to collect all this information eavesdropping on personal things, but visitors are analytical matters for the purposes of improving the quality, In addition, all the information stored by us strictly confidential, and remain within the development and improvement of the scope of our site only. Add to this that some of the companies that advertise We have looked at the cookies and counters Private Network to our site, of these companies, for example Adsense AdSense company is the first company in our declaration. Of course, we in the doctor can not access or control over these files, even with your permission and you enable to take them from your computer (cookies), and also consider ourselves non-officials as in any way for the illegal use of her that happened, God forbid. Google Ad link is stored in the user's browser to understand the types of pages visited by the user profile. And this information is used to display ads based on interests that may attract user groups. Finally .. We are obligated under the terms of this agreement that you wish to disable cookies, you may do so through your individual browser options or logged out of the site. We strive to make the Disqus experience as personalized and relevant as possible for all users. In doing so, we collect non-personally identifiable interest information to deliver targeted content and advertising on websites that use Disqus, as well as other websites you may visit. If you prefer to opt out of this information being collected, you may do so by clicking on the “opt-out” button below. For logged-in users, when you opt out, we will remember your preference across all sites using Disqus. As long as you are logged in, you will not have to opt out again. Log in here. For logged-out users, when you opt out, we will place an opt-out cookie on your computer. The opt-out cookie tells us not to use your information for targeting. Note that if you delete, block, or otherwise restrict cookies, or if you use a different computer or browser, you will need to renew your opt-out choice.